In a world as crazy as ours, one couldn’t do without divine mercy. When a life enjoys divine mercy, it’s so easy to see as the lines fall in pleasant places for such. The following prayers are sure ways to attract divine mercy into your life. 1. As I set out today, I look to you, giver of all good things. Have mercy on me. Let my day be awesome. 2. I have messed up. Done things I shouldn’t have. Now I’m faced with consequences too hard to bear. Please forgive me, Lord. Let your mercy prevail over judgment. 3. I look to heavens, from where my help comes. Show me mercy. Let me smile again. 4. Let mercy line my path. Let favour surround me. Let it be known that my God is great. 5. Mercy in judgement, that’s all I crave. If I’m dealt with according to my sins, then I won’t survive. 6. When I go out to stand before great men. Let me encounter grace. Let doors open for me that I may praise you. 7. The world is full of cruelty, enemies abound. All I pray for is mercy, that I may overcome always. 8. I trust in you and your unfailing mercy. Let every fear in me be dispelled. Give me the courage of a warrior to overcome all of life’s challenges. 9. Don’t let me be tempted beyond what I can bear. Give me the grace to stand in faith. Let your mercy be available for me. You have promised to always stand by me. Now I need you more than ever. Let your mercy see me through. Let your love surround me. 11. Abba Father, Hear my plea for help and for strength and for mercy. Help me find a way. Lead me out of this situation. 12. I’m knocked down. It appears there’s nothing else to live for. Before I give up, I’m crying out one last time: have mercy on me, Lord. Let me smile again. 13. When you show me mercy, then what man thinks wouldn’t matter. That’s why I’m on my knees pleading, have mercy oh Lord. 14. Don’t leave me at the mercy of human beings, they’d destroy without flinching. I crave your mercy oh Lord. Please fight my cause. 15. When mercy speaks, life is easy. Cause mercy to speak for me that I may enjoy life. 17. 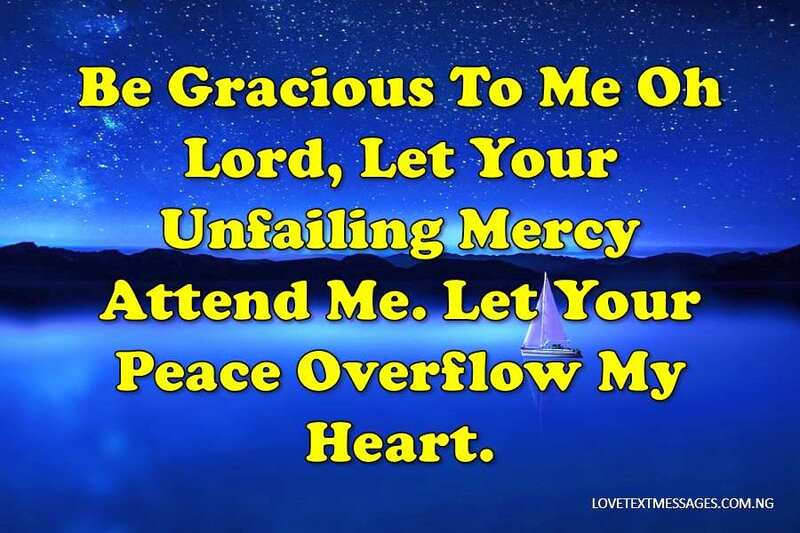 Be gracious to me oh Lord, let your unfailing mercy attend me. Let your peace overflow my heart. 18. When the enemy surrounds me like a flood and my soul is overwhelmed with fear, then I will cry to you for mercy and you will save me by your grace. 19. Peace like a river, overflowing mercy. That’s all I pray for, that it may be well with me. 20. With divine mercy, I’ll overcome enemies stronger than me. Help me Lord according to the multitude of your mercy. 21. Oh God of all flesh from whom mercy flows, cause my life to be flooded with divine mercy. Let your favour set me apart. 22. Gracious mighty God, be merciful unto me. Save me or I die. 23. I covet your mercy oh Lord. Show me mercy in all my endeavours, that my hand may yield a plentiful harvest. 24. I could run all day and all night, yet not reach my goals. Your mercy makes the difference. Show me mercy Lord. 25. Without mercy, all efforts are in vain. Have mercy on me, Lord, cause your favour to shine on me, let my labour not be in vain. 26. Don’t let me go down the miry lane of perversion. Let your mercy intervene. 27. In lowliness of heart, I cry to you. You are the fountain of mercy. Let your mercy blot out my sins and make me whole again. 28. My punishment has run its course, my heart is contrite now. Have mercy on me oh Lord. Restore my glory. 29. I am at that point where I can’t muster the courage to go further. Here I am in surrender. I’m letting go and letting you take over, have mercy. 30. Mercy is all I need in this wicked world. Let your mercy shield me from wicked people. Let your mercy Show me the way to go. 31. Let my heart seek you always. Let my gaze be focused on you that I may enjoy your mercy and grace all the days of my life. 32. Your mercy keeps the mind at peace and keeps a life safe. Keep me safe, oh Lord, by your mercy. 33. A moment of your mercy overshadows a lifetime of struggle. Let your face shine on me. 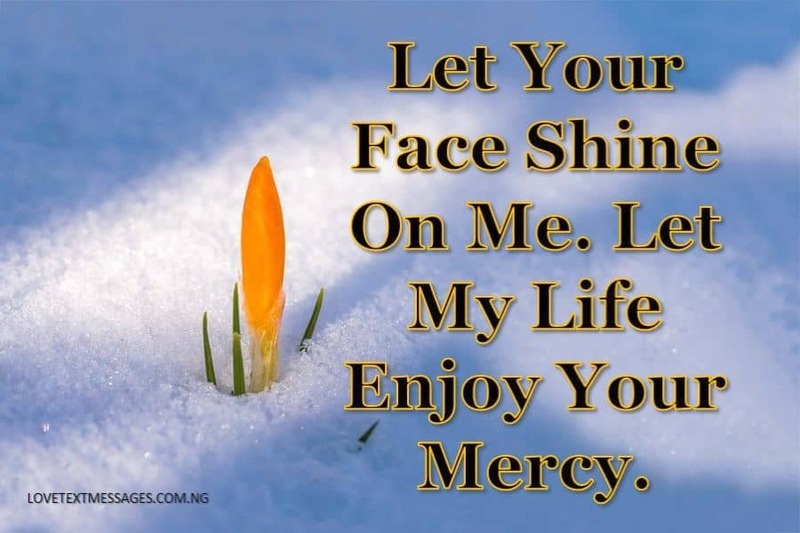 Let my life enjoy your mercy. 34. It’s not of him that willeth but of God that showeth mercy, so your holy word says. Henceforth, I stop willing and rely on your mercy solely. Lead me. 35. I have been swift, yet the race has not gone my way. Let your mercy make the difference in my hustle. 36. Let your mercy flow like a river and subsume shame in my life. Let your grace attend me that I may lift my head high again. 37. Let your mercy guide my choices. Let me choose life, let me choose peace. 38. Don’t let me sink in the miry pool of sin. Let your mercy search me out. Let it cleanse me and wrap me with beauty. 39. I have since lost my way, chasing after false dreams but you searched me out in your mercy and you wrapped me in your love. 40. Blessed is the man whom the Lord’s mercy covers. May I be called blessed. 41. Beautiful is the life that enjoys the Lord’s mercy. Let me be that life clothed in your mercy, that my life may radiate beauty for all to see. 42. Embrace me with your mercy, surround me with your grace. Let me sing the song of a victor and smile with satisfaction. 43. I will tire easily if your grace doesn’t back me. I will go down in misery if your mercy does not attend me. Have mercy on me oh Lord, let my joy be full. 44. 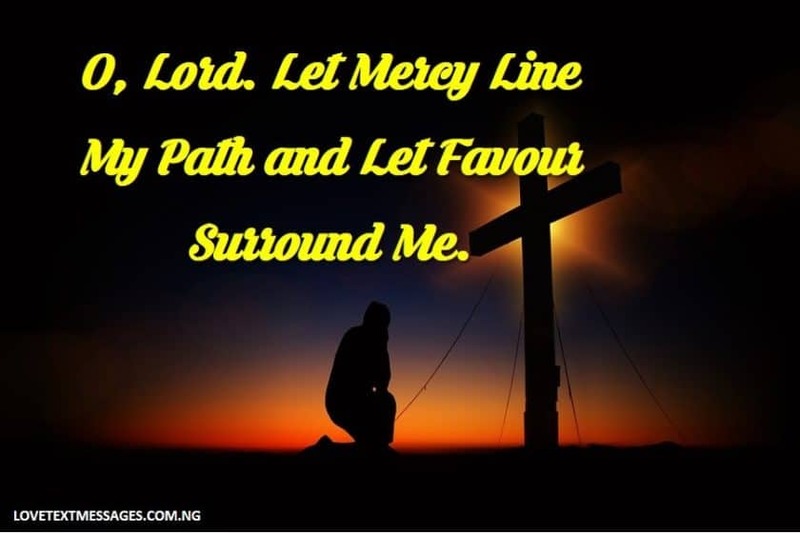 My prayer today and always is that I enjoy your mercy and your favour in all my endeavours. 45. As I face this test, let your mercy distinguish me from my peers. Let me excel and shine beyond measure. 46. May I find mercy before my examiners. May my efforts yield outstanding success. 47. Mercy to cover my errors and make my efforts shine, these I pray for, may it be mine. 48. May your mercy bring my efforts to spotlight. Let it colour me so beautiful, that all may come to the brightness of my shinning. 49. Let your mercy flow, that the little things I do may amount to greatness. 50. I’ve laboured, I’m stressed out and resigned. Now I look to you for mercy to bless my labour with favour. 51. When my work is done and dusted, let me be able to look back with joy and say your mercy helped me. 52. Your mercy sets me apart, making me shine always. What will I ever do without your mercy? What will I do without your grace? 53. I’ve gone my way, I’ve followed my path. I’m at a dead end with nowhere to turn. So I’m looking up to you, help me, Lord. Save me, let me find a way. 54. 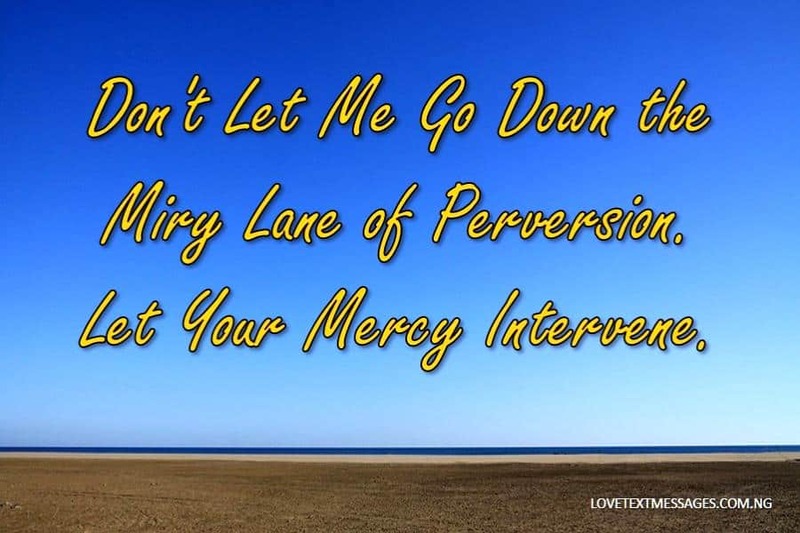 Don’t let me go down the way of the pervert, let your mercy turn my life around. 55. Let your mercy drops, like dew, fall on me. Let it wet my life with goodness and make me bloom beautifully. 56. Your mercy flows like a river, refreshing the thirsty, satisfying the famished. Let it flow unceasingly into my life. 57. When the fire of life threatens to burn, I run into the flood of your mercy. The strong tower of your love shields me. 58. Life is not panning out as expected. Ideas are not flying as they ought. So here I am calling out to you for mercy and reaching out to touch your grace. 59. Choices poorly made, landed me in my current state. Now all I need is your mercy to rescue me. 60. Have mercy on me, save me from consequences too difficult to bear. Save me by your grace. 61. Let your mercy locate me today to attend me in all my endeavours. Let your face shine that my efforts may be blessed. 62. Let your mercy take the burning edge off the sun. Let dews of mercy refresh me. 63. A life without mercy, a rough life. Let your mercy smoothen every crooked path for me. 64. Let your mercy straighten every crooked path for me and loosen out every knot, that I may see clearly the way to go. 65. Life is hard and tough. The competition is stiffer than I can bear. Let your mercy distinguish me, Lord, that I won’t have to labour so hard. 66. I’m at the junction of decisions. Let your mercy guide me, that I may make the right decision. 67. In this life, I can never be stranded. I have a merciful father who leads me to green pastures. 68. Guide me gently loving saviour. Lead me by your mercy to solid ground. 69. When life threatens to overwhelm, let your mercy rescue me, Lord. 70. The Lord rescues me from all evil. He is my refuge. He delivers me by his mercy. 71. When the road is all uphill and life doesn’t seem to have any meaning. When on the verge of giving up, reach out to the higher help. He delivers by his mercy. 72. You’re overwhelmed and I see you’re on the verge of losing all. I pray the mercy of God will keep you strong. I pray He will ignite in you the fire to fight and help you overcome all your challenges. 73. Whatever you’re passing through at this period, I pray the mercy of the Lord will sustain you. His hand will uphold you and you shall laugh last. 74. May the Lord embrace you with his mercy and wrap you with his favour. May you enjoy grace. 75. 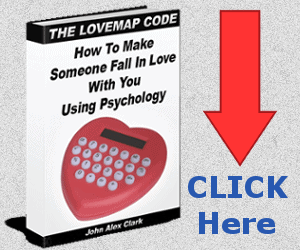 When mercy locates a man, every other thing falls in place for him. May the mercy of God locate you today and catapult you to greatness. 76. Keep labouring in faithfulness. At the appointed time, God’s mercy will locate you and connect you with greatness. 77. As you look up to heavens, may God’s mercy grant that your prayers be answered speedily. 78. Don’t waver, don’t doubt, at God’s time, his mercy will locate you, shoot you up from the miry clay and take you to heights unimaginable. 79. When you go out in the morning, divine mercy will accompany you. When you come back his favour will be your companion. It shall be well with you. 80. As you stand before your examiners today, may the mercy of God surround you so that you’ll have the perfect answer for every question. May you shine. 81. May the mercy of the most high accompany on your journey. May he keep you from harm’s way and bring you safely to your destination. 82. May God’s mercy colour your efforts and cover your errors. May you outshine your peers. 83. No matter how hard your life journey seems, God’s mercy is always at hand, waiting for you to surrender and call out for help. 84. You’re the rock I stand on, every other ground is sinking sand. Save me by your mercy and rescue me by your grace. 85. Mercy is what we need as a people that we may be saved. Look upon us oh Lord, let there be a turnaround. 86. Please, Lord, I’m tired of my sinful ways, it has yielded nothing but trouble. Here am I in deep repentance, have mercy on me. Save me by your grace. 87. Here am I oh Lord, I’ve come to you in acknowledgement that you alone can help me. Help me oh Lord according to the multitude of thy mercy. 88. I can not bear your anger. It’d destroy me in a twinkle of an eye. Have mercy on me, Lord. Forgive me and I’ll be changed. 88. Let your mercy preserve me from sin so that my life will not attract destruction. 89. I commit my work to your hands oh giver of good things. Let your mercy elevate me. 90. My life and all are in your arms. Let your mercy preserve me and save me from wicked people. 91. Don’t withdraw your mercy from me, Lord. I breathe it, I live it. I couldn’t survive without it. 92. Here I am on my knees, seeking your face, imploring your mercy. I’ll remain here until you hear me and show me your mercy. 93. Draw me nearer Lord, let me taste your mercy, let me bask in your grace. 94. You’re all I have. You’re all I need. Your mercy satisfies me, it is enough for me. 95. Your mercy has kept me this far. Chastising me, guiding me. May your mercy never cease in my life. 96. I can’t do without your mercy. I rely on it to save me to the uttermost. Let your mercy preserve me until your coming. 97. While I wandered about in sin, your mercy was out searching for me. It eventually located and rescued me from destruction. I still rely on you, Lord. Never leave me to my own devices. 98. I cry out in anguish, have mercy on me, Lord. Rescue me, save me. Take me from the miry clay, set my feet on the rock. 99. To thee oh God divine, I cry out for mercy. Have mercy Lord, have mercy. 100. Thou would show mercy to whom it pleases you to show mercy. Let it please you to show me mercy. Let me find favour in your sight. Amen.